Reliance Jio and Samsung to come together in an event at MWC 2017. The event is scheduled on February 28, 8:45 CET. According to Both the company, the objective of the press conference is to foster engagement and participation among industry leaders, governments and communities by discussing Jio’s successful 4G LTE business and how it has transformed the everyday lives of 1.3 billion Indians. 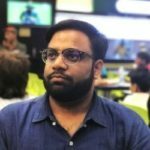 Samsung India had earlier partnered with Reliance Jio, by giving free jio SIMs for select Samsung Devices and get 3 month of unlinited 4G Data, calls , SMS. Samsung also said that it will share the contributions made by Samsung as a Jio’s Solution Partner. 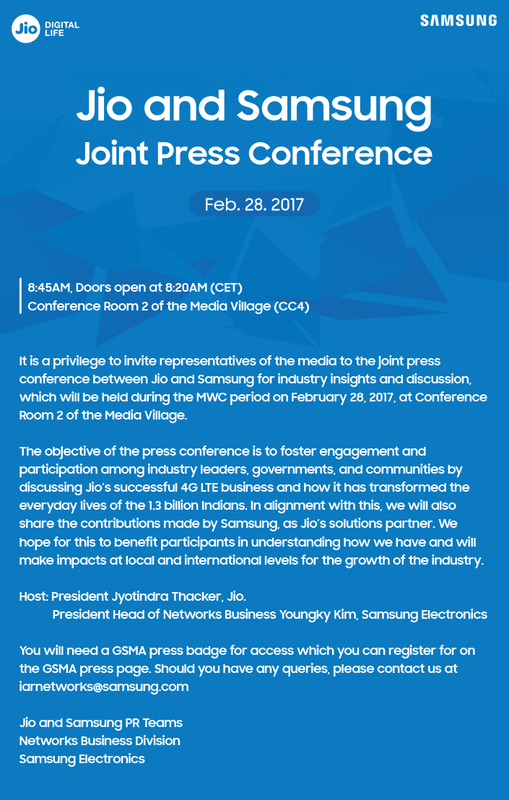 Jyotindra Thacker, President, Jio and Youngky Kim, President Head of Networks Business, Samsung Electronics will host the event that starts at 8:45 AM CET (1:15 PM IST) on February 28th. Check out the full invite below.